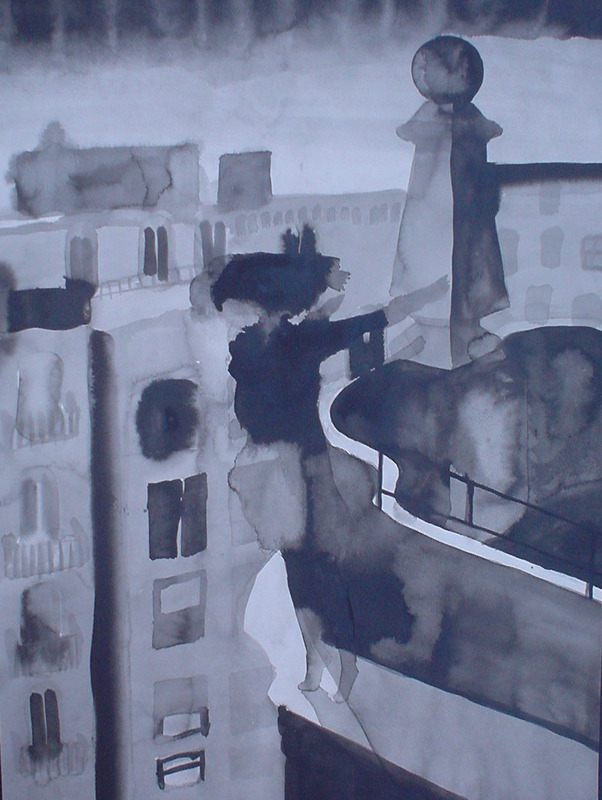 A good image with which to introduce my work, this painting is called ‘The Leap’ it is made in Indian Ink,and was painted during my time living in the beautiful city of San Sebastian in the Basque Country in Spain. It forms part of my ‘Lamia’ series which explores and compares woman and birds and the relationship between the two. It kick started my interest in working in water based media after years of working in oils and I love it as it achieves so much I want to harness and express in my work, for me it is lyrical, ambiguous and beautiful. I am always looking to find these qualities in my painting. There is risk and reward here.